Enhance your hallway or entryway with the ornate details of this handcrafted, Spanish colonial style bench. 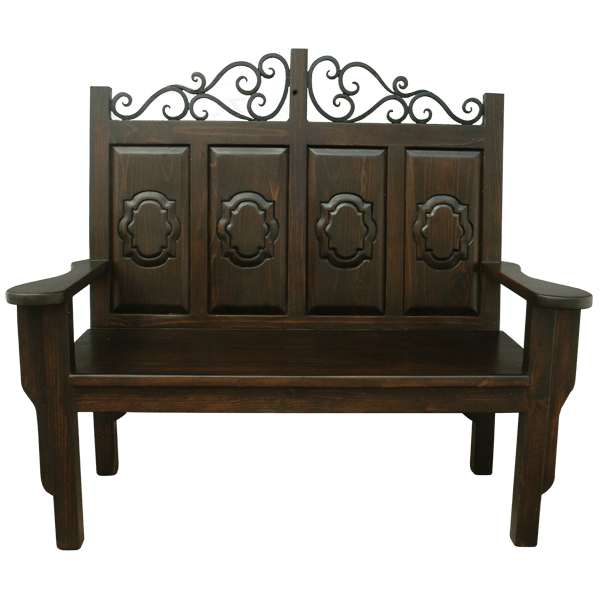 The bench features a solid wood, tall seatback with four, beveled, rectangular panels, and each panel has a hand carved, geometric, Spanish colonial style design in its center. 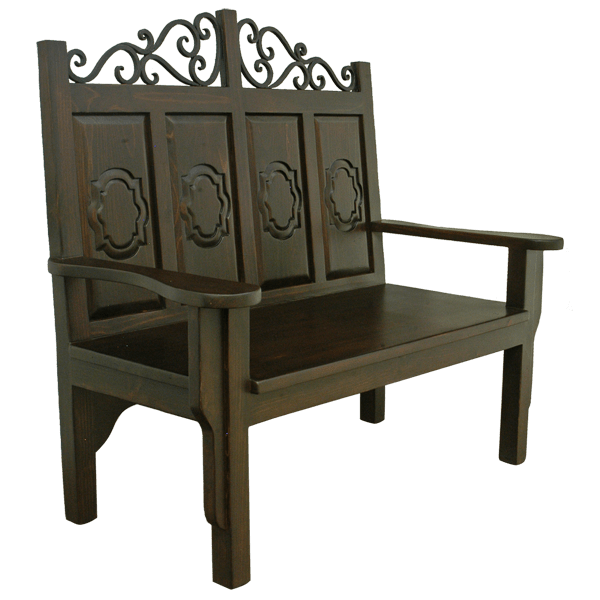 The top of the seatback is embellished with a curved, hand forged, iron crest, and each lateral side of the seatback has a solid wood upright. The bench has a wide, robust, solid wood seat, with curved armrests. It rest on square cut legs in front, and slightly curved legs in back. The bench has a beautiful, antique finish, and it is made with the best, sustainable, solid wood available. It is 100% customizable.